Bradley Beal threw the best lob of his life to John Wall, and the Washington star finished the alley-oop that the longtime teammates are accustomed to making. The experienced Wizards made the plays to beat the young Philadelphia 76ers 120-115 on Wednesday night in the season opener for each team. The NBA debuts of Sixers top picks Ben Simmons and Markelle Fultz took a back seat to Wall and Beal getting the job done despite not having their best shooting performances. 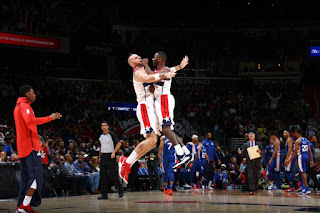 Wall scored 28 points on 10-of-28 shooting and had eight assists, and his 15-second stretch in the fourth quarter with a layup, block and pass to Marcin Gortat for a dunk showed what he could do in crucial moments. "When John was making some of those dunks, I was telling our coaches, `I cannot believe he just did that,'" Wizards coach Scott Brooks said. "Those are things that point guards don't do, and he just does it so easy." This wasn't an easy victory for the Wizards, who survived in the final minute when Philadelphia turned the ball over twice and J.J. Redick missed a 3-pointer. And although Brooks and his players were happy to win, the Sixers earned plenty of respect from a team that was one victory away from the Eastern Conference final. 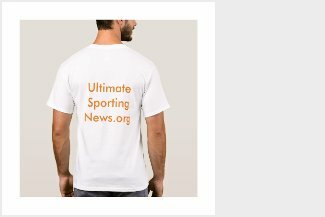 "No matter if they're a young team or not, those are games you kind of want to take away from them and don't give them any confidence, but they gave us a great test," Wall said. Sixers forward Robert Covington had 29 points. Simmons, the 2016 No. 1 pick who missed all last season with a foot injury, had 18 points and 10 rebounds. Fultz, the 2017 No. 1 pick, came off the bench to score 10 points. Sixers coach Brett Brown called Simmons' first regular-seasn game "really, really exceptional" and was impressed with how Fultz played after shoulder and knee injuries limited him in the preseason. Losing close to the Wizards was a welcome to the NBA moment for the rookies. "To make that effort against this team - probably one of the top three teams in the conference - it's tough," said Fultz, who is from nearby Upper Marlboro, Maryland. "I thought we did well in our first game, and we have to learn from it." 76ers: Jerryd Bayless started in place of Fultz and had 13 points. ... Fans chanted "Trust the Process" several times during the game, drawing the ire of the home crowd. Wizards: Beal finished with 25 points. ... Jason Smith, starting at power forward with Markieff Morris out roughly the first month after sports hernia surgery, played just 7:04 before leaving with a sprained right shoulder. Brooks expects to know more Thursday. ... Kelly Oubre Jr. had 14 points in replacing Smith. ... Opened at home for the first time since 2011 and for the first time in an 82-game season since 2008. So much for the idea that Sixers center Joel Embiid was on a strict minutes restriction. After Brown said Embiid would play somewhere in the 15 to 20-minute range, his final total was 26:57 with 18 points and 13 rebounds. Embiid was surprised he played that much. "We got to stop calling that `minute restrictions,'" Embiid said. "I think the plan is to just get out there, play, see how I feel. There's going to be some games I'm going to be sore and I'm going to be tired." 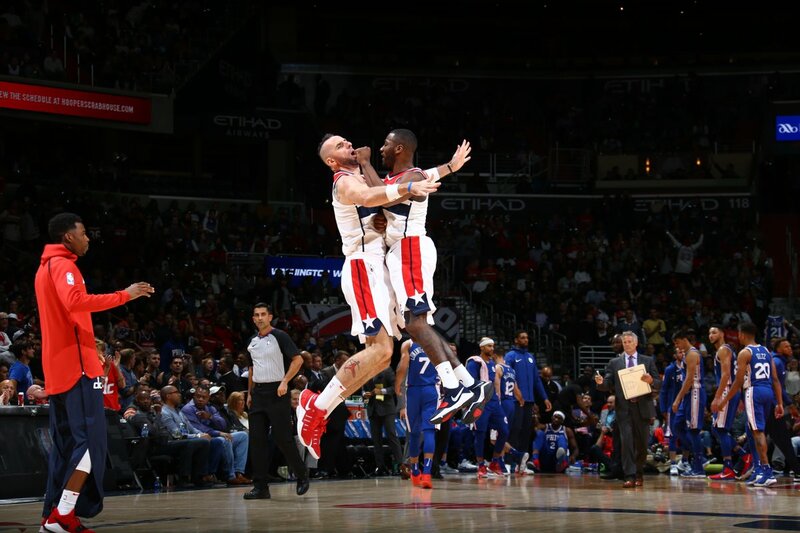 Gortat, who scored 10 of his 16 points in the fourth quarter and grabbed 17 rebounds, wore "AW" on his shoes to honor late Polish basketball player Alex Wojcik, who died of leukemia at age 47 over the summer. Taking advantage of some matchup problems presented by injuries and smaller lineups, Covington shot 7 of 11 from 3 to finish one point off his career high. "My teammates found me in the open position and I was able to knock them down," Covington said. 76ers: Host the Boston Celtics on Friday in their home opener. Wizards: Host the Detroit Pistons on Friday before beginning a four-game Western Conference trip.